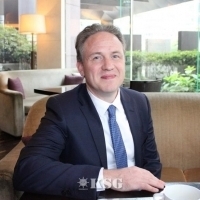 Mr. Turloch Mooney is a trade and transport industry expert at IHS Markit. As Director, IHS Markit, Maritime & Trade, APAC, Mr. Mooney is responsible for the creation of strategic content specialist maritime publications across multiple media formats – including print, online and events – utilizing data-rich insights and analyses across the full value chain that IHS Markit provides as a global research company. His responsibilities include establishing key influencer programs in the ports sector to support the development of data, events and consulting services, as well as fostering collaboration between industry players by developing conference programs, industry workshops and whitepapers. He has 20 years of experience in the supply chain and transport industries and also is a subject matter expert in international trade policy and processes. Previously, he worked for the Geneva-based International Air Transport Association, the global trade association for the world's airlines, and the London-listed Informa Group, the publisher of the Lloyd's maritime and transport brands. He has lived and worked in diverse multicultural cities across the world, including Hong Kong, Shanghai and Amsterdam. Mr. Mooney completed an undergraduate degree and postgraduate studies in communications at the National University of Ireland, and he holds a Master of Arts with a focus on International Law and International Trade from the University of Limerick, Republic of Ireland.